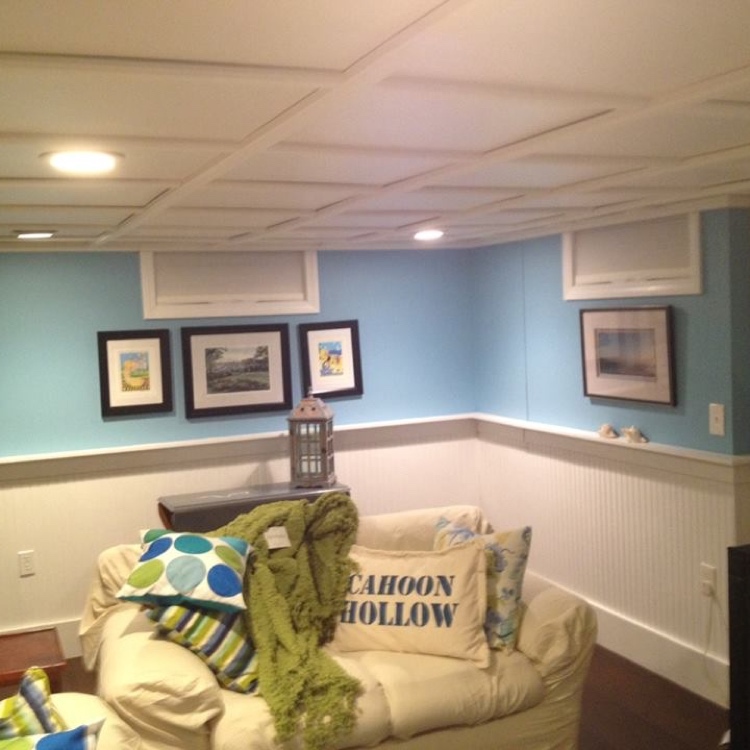 Now you can easily and inexpensively transform your old ceiling with the WoodTrac Ceiling System! Old Grid? 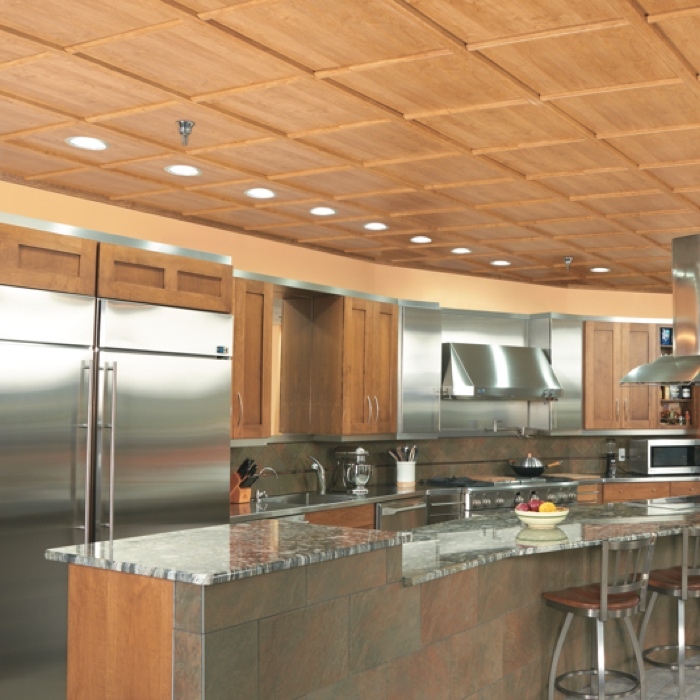 Easily transform it into a Beautiful Coffered Wood Look Drop Ceiling with the WoodTrac Ceiling System! Use your existing 9/16", 15/16" (most common) or 1" wide ceiling grid and the patented clips. 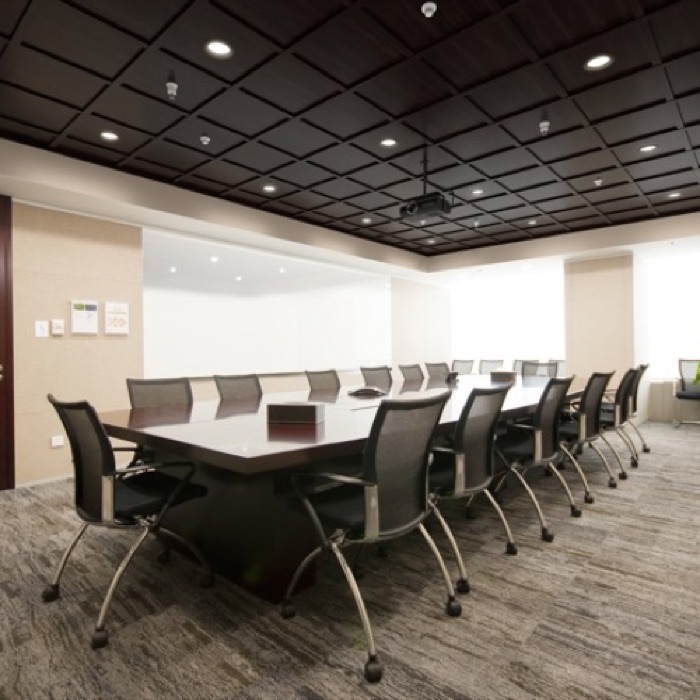 Popular in basement ceilings and commercial applications, suspended ceilings, also known as drop ceilings, allow easy access to important utilities located above them. 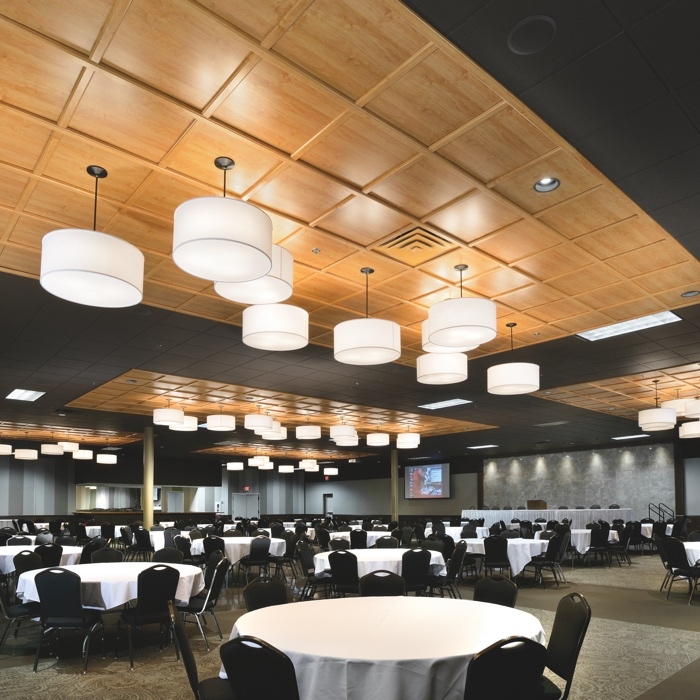 Watch the installation video to learn how easily you can transform your suspended ceiling with the WoodTrac Ceiling System. Tired of your Old Ceiling? 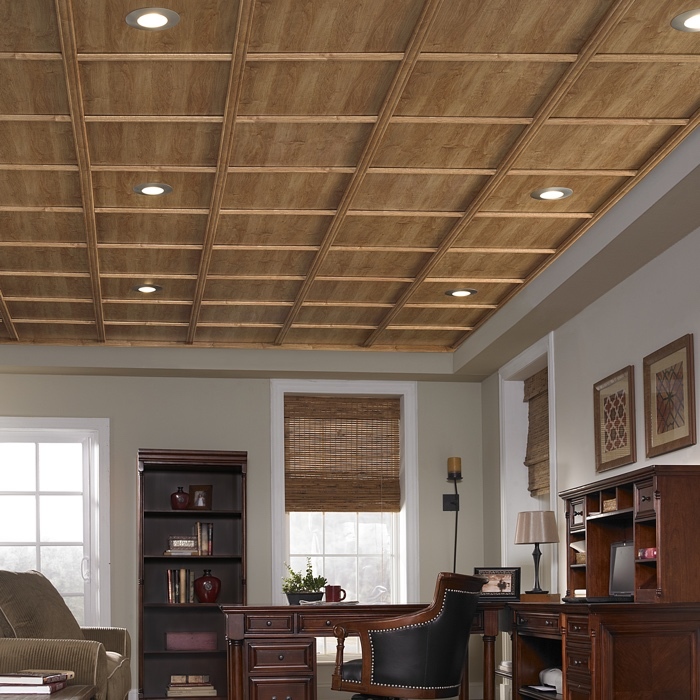 Transform it by directly mounting a Beautiful Coffered Wood Look Ceiling! 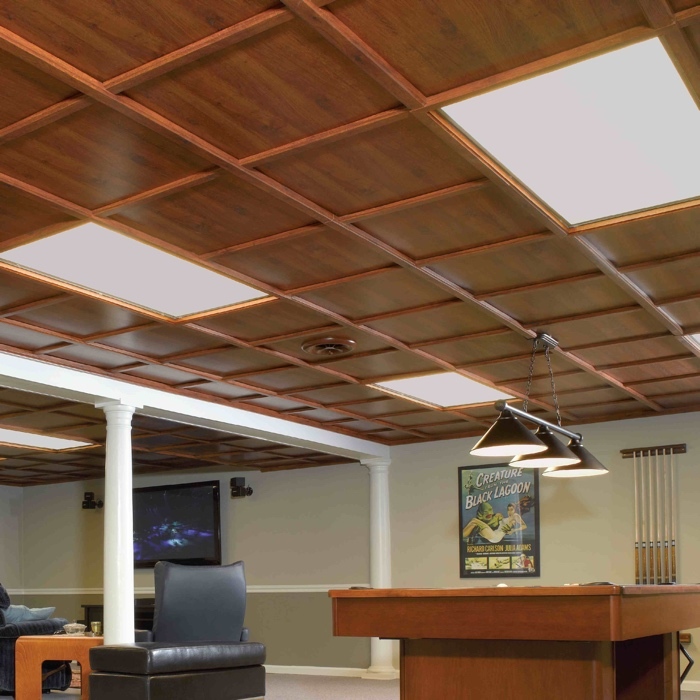 Using the direct mount clips, the WoodTrac Ceiling System can easily be installed over drywall ceilings, plaster ceilings, popcorn ceilings, or ceiling joists. 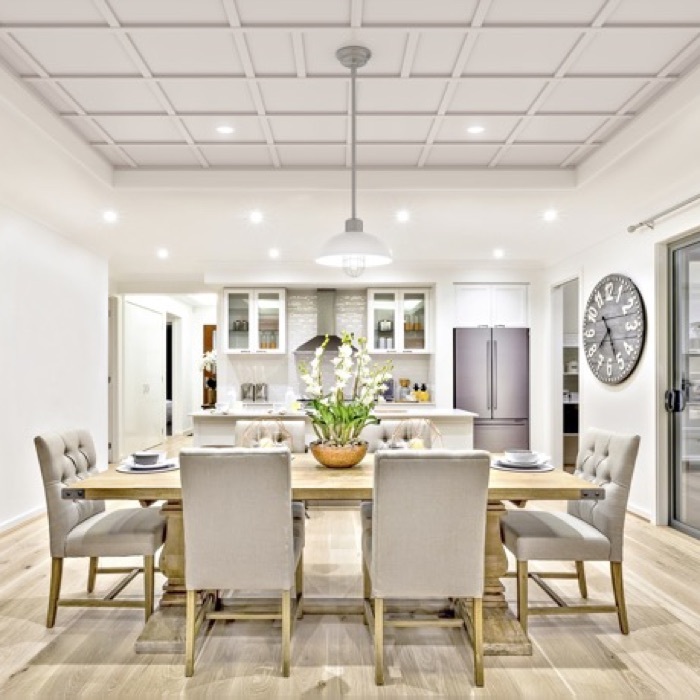 This application requires a ceiling to first be covered with plywood or OSB (Oriented Strand Board) as a backer board to provide a solid anchor point for direct mount clips. Clips screwed to the backer board then hold in panels and hold mouldings after they are snapped in. 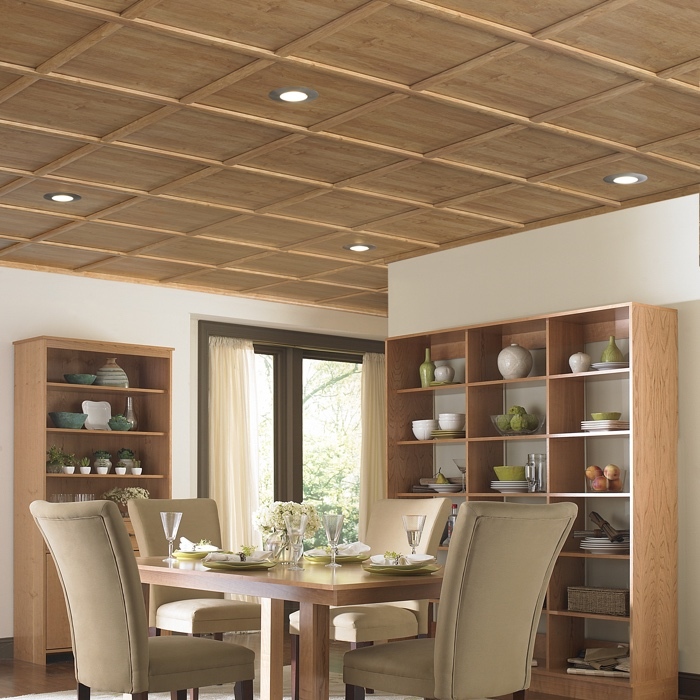 Watch the installation video to learn how easily you can transform your ceiling with the WoodTrac Ceiling System. Multiple wood finishes and colour options along with two moulding profile styles (Modern and Cove). Compatible with most existing or new suspended ceiling grid systems or direct mount installation over existing joists, drywall, popcorn ceilings, etc. The WoodTrac Ceiling System is available in both Class C and Class A fire ratings. Class C is appropriate for residential use and according to International Building Code in commercial spaces with fire sprinkler systems.